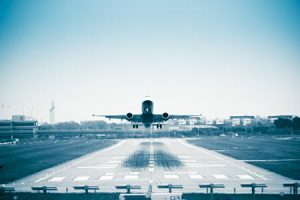 Five Questions to Ask to Improve Your Aerospace Business | Mecanica Solutions Inc.
Aerospace companies rely on innovation to improve performance while managing growing program complexity (more complex systems, and an extended supply chain) as they face more competition than ever before. Companies need every advantage to succeed. Implement process improvements that support on schedule, on cost, and on specification delivery. Move toward a future factory to add flexibility and improve production rates. Improve OEM / supply chain integration. These improvements require a new way to conceptualize, design, manufacture, test, certify and support new aircraft. How do companies decide where to start? Here are five questions to consider when developing an innovation strategy to improve your business. How Do I Bring Teams Together to Work as One? Traditionally independent product teams worked in functional silos and came together at the end to integrate systems. This creates significant rounds of rework as changes by one team ripple across many other departments. and may not even be known for months. If companies bring teams together across various functions including: program and contract management, engineering, manufacturing, test and certification, and marketing to work together significant improvement cam be realized in areas of performance, quality and more. The 3DEXPERIENCE platform allows teams to seamlessly collaborate across their enterprise and with its suppliers on programs from defining the initial requirements, developing the systems engineering architecture, developing a system Digital Mock Up (DMU), optimizing designs, planning manufacturing, and testing to complete certification, and more. The platform can help companies rapidly accelerate new programs from concept to takeoff while significantly cutting development costs. How Do I Design The Best Experience? Following the adage, seeing is believing, performance improves when people interact with virtual 3D models instead of lines of code or 2D images. Whether developing an unmanned aerial system (UAS) or a customizing a cabin interior, the ability for a customer to visualize, or interact with a high-fidelity virtual representation of this system or environment improves their experience and their understanding of the product. Dassault Systèmes teamed up with the Wichita State University (WSU) National Institute for Aviation Research (NIAR) to launch the 3DEXPERIENCE Center. Visitors to the Paris Air Show can see the first joint project: a search and rescue, multi-mission UAS. 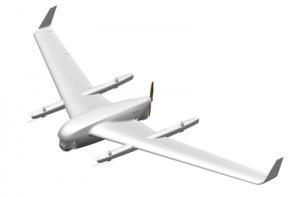 The UAS System Digital Mockup (S-DMU) illustrates the concept-of-operations with integrated virtual ground station and real flight controls, the virtual UAS, and a virtual environment. Using 3D models allows you to meet customer requirements as well as align with multiple departments early in the design cycle. This alignment avoids potential downstream changes and rework which reduces program risks, improves system quality, increases schedule predictability, shortens cycle times and ultimately lowers costs. How do I optimize the production rate? New technologies are creating a wave of change in the manufacturing planning and production of new aerospace systems. Fueling this transformation requires new ways to deliver agility in manufacturing while continuing to improve quality and profitability. How Do I Drive New Business? To grow their business, aerospace companies must find new revenue streams and markets. Some OEMs are adding aftermarket services to their portfolio and performance based contracts are becoming more common. With performance based contracts, OEMs are paid based on the hours of operations instead of a purchase price. OEMs seek a greater share of overhaul work including flight line-level repair and preventive maintenance. How can OEMs significantly improve their visibility of the fleet and flight operations and improve predictive analytics to schedule preventive maintenance, and ensure maintenance efforts are completed on-time with quality? Or, how can companies meet the growing demand to update aircraft cabins much more frequently and offer operators the ability to differentiate themselves their highly competitive market?